- USWA Mid-South Coliseum (July 12, '93) = The Vampire Warrior lost, via DQ, to the USWA Unified Champ, Jerry Lawler. - USWA Mid-South Coliseum (July 18, '93) = The Vampire Warrior won the USWA Southern Heavyweight Title, beating Jeff Jarrett. - USWA Mid-South Coliseum (August 2, '93) = The Vampire Warrior fell to Jeff Jarrett. The Southern Heavyweight Title wasn't on the line. - USWA Mid-South Coliseum (August 9, '93) = The Vampire Warrior & Luna Vachon lost to Jeff Jarrett & Miss Texas. - USWA Mid-South Coliseum (August 16, '93) = The Vampire Warrior stayed the USWA Southern Heavyweight Champ, winning over Super Mario. - USWA Mid-South Coliseum (August 23, '93) = The Vampire Warrior was beaten by Jeff Jarrett. - USWA Mid-South Coliseum (August 29, '93) = The Vampire Warrior fell to Giant Gonzales. 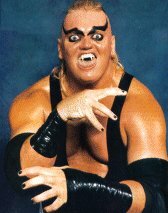 - USWA Mid-South Coliseum (November 15, '93) = The Warlock defeated Del Rios. - USWA Mid-South Coliseum (November 29, '93) = The Warlock lost, via DQ, to King Cobra. - USWA Mid-South Coliseum (December 13, '93) = The Vampire Warrior lost, via DQ, to Dutch Mantel. - USWA Mid-South Coliseum (December 27, '93) = The Vampire Warrior lost, via DQ, to Jeff Gaylord. - ECW Arena (July 20, '95) = The Vampire Warrior took down Purple Haze. - ECW Arena (July 21, '95) = The Vampire Warrior & Dudley Dudley fell to the Pitbulls. - ECW Arena (July 22, '95) = The Vampire Warrior, Dudley Dudley & the Terrorist lost to Hack Myers & the Pitbulls. - ECW Arena (July 28, '95) = The Vampire Warrior & Dudley Dudley were defeated by the Steiner Brothers. - AJPW Budokan Hall (June 12, '98) = David Heath & Giant Kimala II were beaten by Johnny Smith & Johnny Ace. 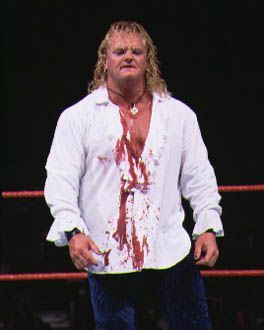 - WWF Summerslam '98 (August 30) = In a dark match, Gangrel won over Dustin Runnels. - WWF Breakdown (September 27, '98) = Gangrel fell to D'Lo Brown. - WWF Survivor Series '98 (November 15) = In a dark match, Gangrel defeated Steve Blackman. - WWF Capitol Carnage (December 6, '98) = Gangrel pinned Al Snow. 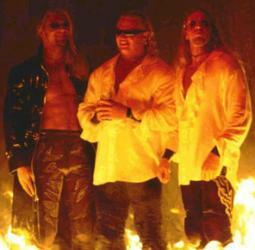 - WWF Rock Bottom (December 13, '98) = The Brood (Gangrel, Edge & Christian) took down Al Snow, Bob Holly & Scorpio. - WWF Royal Rumble '99 (January 24) = Gangrel lost to the WWF European Champion, X-Pac. Later on, Gangrel competed in the Royal Rumble, which was won by Vince McMahon. - WWF Backlash '99 (April 25) = The Brood were beaten by Mideon & the Acolytes. - WWF No Mercy (May 16, '99) = The Brood fell to Viscera & the Acolytes. 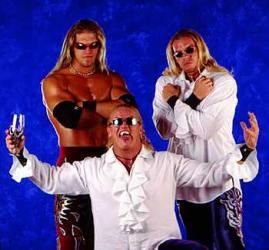 - WWF Rebellion '99 (October 2) = Gangrel was pinned by the Godfather. - WWF Survivor Series '99 (November 14) = Gangrel, Val Venis, Steve Blackman & Mark Henry fought in an "Elimination" Match against Davey Boy Smith & the Mean Street Posse. Gangrel was eliminated by Smith. Venis & Henry "survived". - IWA Tag Team Title Tournament (January 7, '00) = Gangrel & Fidel Sierra lost in the first round to the eventual winners, Val Venis & Ricky Santana. 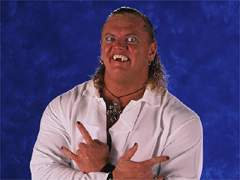 - WWF Royal Rumble '00 (January 23) = Gangrel competed in the Royal Rumble, which was won by the Rock. - NWA-TNA PPV (Show #1, June 19, '02) = The Vampire Warrior competed in the "Gauntlet To The Gold" Match, which was won by Ken Shamrock. - NWA-TNA PPV (Show #47, June 4, '03) = The Vampire Warrior lost a "Hard 10" Match to Sonny Siaki. - OVW Six Flags Summer Sizzler Series '05 (June 3) = Gangrel fell to Danny Inferno.